This was supposed to happen in October last year and the class was canceled. Then I was gone for the month of December. And now it's a new year and well, why not? 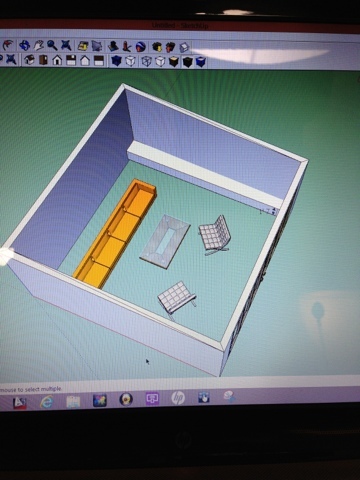 Yes, I am taking a SketchUp class! 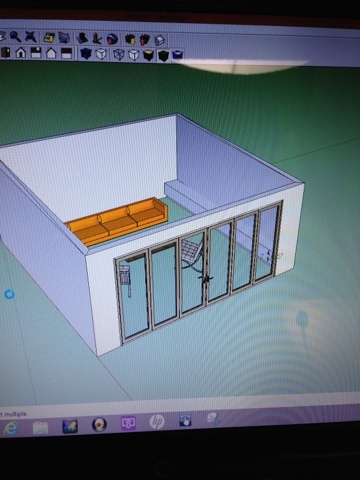 If you are not familiar with SketchUp, it's a 3D imaging tool that used to be a Google product. It is basic and free - so it's fairly user friendly once you figure out the tricks and tips. And well, since we have this project: haus and we have basically come up with all of the designs on our own, it makes sense that I can use this tool. And I will admit, it's fun. And it feels great to be learning something really new and challenging. I've got 2 classes left and I am determined, so stay posted for next week's project! Though crude and just a little bit hacked - this is my very first attempt at a room, with a Nana Wall!